Turning DC into your personal playground. If you have a family, and you've been hunting for new ideas to keep them entertained, you've probably come across scavenger hunts recently. The latest fun way to get families out and about, scavenger hunts are based on the old-style treasure hunt, but with a modern twist. The quests involve getting a group together and then competing to see how many items you can find on a list. If you don't think that sounds awesome, read on. List items can be whacky or tough to source, funny or obscure, making the scavenger hunt a lively, challenging way of exploring the hidden nooks and crannies of a location, so you see it in an entirely new light. The weirdest things on scavenger hunt lists. When it comes to creating your scavenger hunt list, the most powerful tool at your disposal is your imagination. Items such as take-out menus, restaurant napkins and a recipe from a resident are all pretty quirky, but how about trying to collect a receipt for exactly 50 cents of gas, a used bus ticket to a set destination, or the fifth item from the bottom of a stranger's handbag? Hunts can be tailored to each family member, giving a combination of simple and stretching challenges geared towards different ages, for a really fun day out together. Rich pickings in vibrant Washington DC. Of all the places on the map, DC presents one of the most fertile hunting grounds for scavenger hunting, encouraging groups to explore in and around Washington and the tidal basin. By studying the area with a new perspective, even seasoned residents get to view the District in an entirely different way. Hunts can be tailored to take in the major sights including Arlington Cemetery, the Pentagon and Ronald Reagan Airport, the Potomac River or other attractions, with a series of clues leading to the 'treasures' on the list. Bringing people together, in new ways. Scavenger hunts or Souvenir hunts (what we call them) are not just perfect for beating vacation boredom, they are also a really positive way of forging deeper bonds, teamwork and creative problem solving for kids and parents alike. Because all of the items on the scavenger list are either low-cost or free, there are no restrictions on budgeting for a family day out other than a $10 metro card. However, for visitors to the District, it's always an excellent idea to include a cool Washington DC souvenir, so there's a lasting reminder of the day when the family returns home! Choosing a hosted scavenger hunt. If you're looking for a fully-organized and organized hunt, there are a few great companies in DC who will take all the planning out of the day, and create a tailored hunt specifically to meet your family's preferences, age range, and interests. Firms including Watson Adventures and Scavenger Hunt DC and Hunt DC all offer hunts of any duration from two to four hours, using expert knowledge of Washington DC for kids to design a fun, adventure-packed experience. The benefit of hosted hunts includes the fact that professional organizers know the best challenges, locations, and approaches to make the most of your time in DC. They'll also be able to help out with resources and information to maximize fun and minimize planning, leaving the family free to focus on the most important thing - grabbing the list, and heading out to find everything on it! Designing your family day out in DC. If you'd rather gain the full planning experience from your scavenger hunt, why not create the clues, list, and challenges yourself before the day? Liven things up by adding evidence into the challenge, for example getting everyone to take a photo of themselves in specific scenarios, such as hugging a stranger, in a shop display or even piled into a phone booth. There are no rules; whatever works for you as a family is a right thing to add in! If you have a family reunion doing a Souvenir hunt is a great way to spend a day. We have had a group of 14 people one time and we drew names out of a hat for teams of three. Everyone enjoyed themselves. Taking the homemade scavenger hunt to a new level. One of the newer ways to make sure your DC scavenger hunt is memorable, fast-paced and exciting is through Geocaching. Known as the "world's largest treasure hunt," caching involves downloading an easy to use app, and then following clues to discover hidden treasure spots and items across DC. Caches include small boxes with a log of all the intrepid explorers who've discovered the place before, and when you find the box, you'll sometimes discover treasures that people have left for you. Take the treasure and replace it with something of equal or greater value, and then mark your successful hunt on the map. Caching in DC is a great way to keep kids entertained, and provide endless fun while drawing on creativity, teamwork, and imagination to fuel the day. Add in the prospect of discovering some of the District's hidden gems such as private parks, statues, and historical monuments, and your cache experience will unearth much more than just a great day out. Whatever your family likes to get up to, scavenger hunts and caching will let you turn Washington DC into a limitless playground, packed with hidden treasures. To find out more, visit http://www.watsonadventures.com/ and www.geocaching.com to dig up some brilliant DC family experiences. 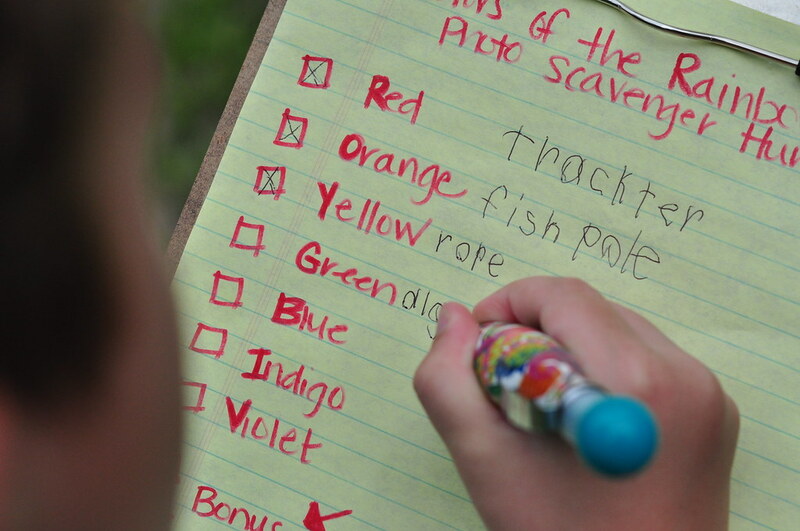 A scavenger hunt is the best vacation game! A scavenger hunt is a party game in which the organizers prepare a list specifying specific items, which the individuals seek to gather or finish all products on the list, generally without acquiring them. The history of Washington, D.C. is tied to its function as the capital of the United States. Initially lived in by an Algonquian-speaking people called the Nacotchtank, the site of the District of Columbia along the Potomac River was first selected by President George Washington. All ages can take part equally in a scavenger hunt. In some cases, the youngsters have much better powers of observation than the grownups! You can play again and once again. Just make another list or swap list, and you are ready to go at it again. No matter where you are - in the city, in the desert, the ocean, by the forest, or in the wilderness or close to town - you can make a scavenger list that fits your area. In variations of the game, players take photos of listed items or are challenged to finish the tasks in the most imaginative way. A scavenger hunt is differentiated from a witch hunt, in that the latter includes one or a couple of items that are desirable and finished in series, while a scavenger hunt mainly gathers unwanted or worthless things in random order. Why not attempt something different by putting a twist on your sightseeing expedition if you're planning a trip to the country's capital. Here are some fun, smart, and exciting Washington DC scavenger hunt ideas to do while you exist, including a list of things to do and see. Scavenger hunt list (see below for concepts). Cam (mobile phone electronic cameras are exceptional). Get a Map of Washington DC, one you can get from any hotel lobby. None, other than to research some of the traveler attractions to check out if you didn't wish to use the list listed below. Split the group into smaller sized teams, unless you're planning on doing this as a group activity or as a family. Provide the resources that are listed above, along with some cash for the items and activities if any will cost loan. Organize a finishing time and area (if separating out), then go off searching in DC! Make it a picture scavenger hunt where gamers take images of all the items/tourist attractions as evidence that they finished each one if playing this competitively. Washington DC Scavenger Hunt List. The capital is a significant location, with loads to do and see. A scavenger hunt list could, for that reason, be endless, however, there are 20 crucial things you could consist of:. National Air & Area Museum. Martin Luther King Jr Memorial. Going to DC can be expensive, especially when paying for entrance costs, food, transport, and so on. One way to conserve cash is to examine Groupon for deals and discounts in the weeks leading up to your trip. If you're playing this game (scavenger hunt) competitively, get some memento as a reward for the winner off of www.moregiftsofdc.com naturally (or give them a specific budget plan and allow them to choose a memory themselves). In the morning, wrapped and equipped with instructions for the hunt (the business's website calls them "interactive walking trips" or "urban games"), you can head off to the designated starting point. The Smithsonian Castle punched our confirmation code into the phone, and the questions started coming. Players take part via text or, by using a mobile phone, type responses into a web interface. Points are granted for right answers and tips are offered for wrong ones, and new fantastic trivia is provided with each service. The cost to play is about the like joining a human-hosted walking tour, however, the phone-delivered narrative enables more stopping briefly, food breaks, and general playing around, which suited our group much better. To be sincere, we're old-timers at D.C. sightseeing, and I didn't anticipate any huge surprises, however gladly, we were wrong. It was when the kids got engaged in the game; the hunt led us to galleries and museums they might otherwise have actually ignored and made them look a little harder at artwork that may have escaped their notification on another day. After a stop for lunch, we voted whether to continue the game or go back to the hotel to swim in the indoor swimming pool and they unanimously decided to finish the game. Points are granted for right responses and tips are available for wrong ones, and other amazing trivia is served up with each solution. The expense to play is about the very same as signing up with a human-hosted walking trip. However, the phone-delivered narrative enables for more pausing, food breaks, and basic messing around, which fit our group better.